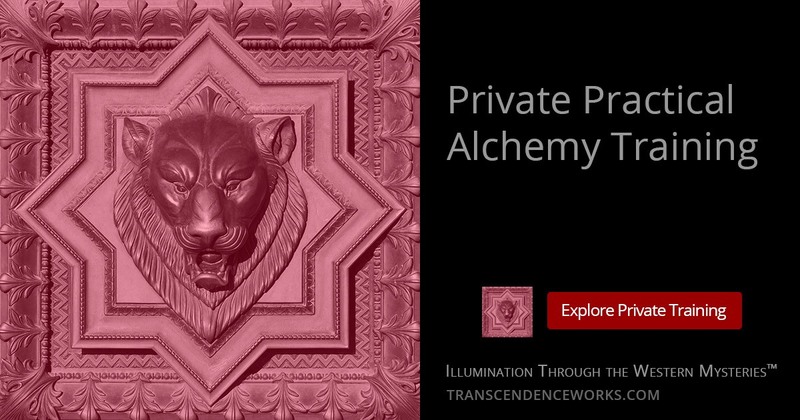 Practical private training in alchemy focuses initially on the process and obtainment of true quintessences from the plant kingdom through the Primum Ens process. The length of time it takes to get through this process is unique to each individual. Private instruction accelerates the process by making sure students are focused solely on what is productive to reach the goal of obtaining true quintessences that have psycho-spiritual initiatory effects, which in turn prepare students to proceed effectively into deeper levels of the work. The tuition for the online course for complete Primum Ens level of alchemy training is only $300 for lifetime access. In addition to the general requirements for private training, there are some specific individual requirements for entry into alchemical work due to the nature of the working materials. Must not have issues with alcoholism, for obvious reasons. Reading Why Learn Real Alchemy on a Magical Path? Though the costs for entering practical alchemy work are not high, relative to other levels of the work, there are some necessary expenses. Students should be able to handle a $400 to $900 outlay for basic lab ware, equipment, and supplies, as well as course tuition, without causing financial hardship or the need to interrupt training for financial reasons. Any investment in basic lab ware and equipment for this level of the work is often an investment towards other levels of the work. If all of the above prerequisites have been fulfilled, those wishing to do so may enroll in Primum Ens alchemy training.